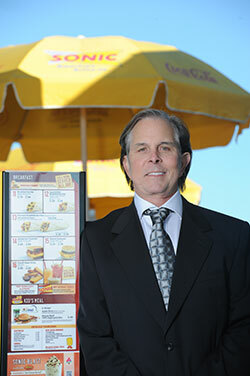 Ted Kergan's path to success as Louisiana's largest Sonic Drive-In franchisee has been marked by hard knocks. While his buddies were planning for careers on the auto assembly lines in Detroit, Kergan, who always had an entrepreneurial bent, hired on with a motivational company after high school, hoping for a different kind of life. He says his three years there helped him conquer his shyness. Toady he laughs when he talks about one get-rich-quick scheme he and his older brother, Gary, cooked up as young guys. "My brother and I had this idea that if we could sell a million of anything for a dollar, we'd make a million dollars," he says. They found a New York company willing to make a million beer coasters on credit. They hired someone to put the (then) highly popular smiley faces on the coasters and dip them in cherry-flavored liquid--and tried to sell them as air fresheners at auto parks and car washes. "It took us nearly two years to get rid of those things," Kergan says. His brother got involved with Sonic in Oklahoma, and a year later Kergan came on board. In 1977, their younger brother became a managing partner in a Louisiana Sonic. "I didn't know food cost from the other side of the moon," he says. "The first two days I worked there, I stayed up all night to try to figure out the books and numbers." In 1979, the brothers bought their first Sonics and began to buy or build a new unit every year or two. Tragedy struck in 1984 when Gary disappeared unexpectedly and evidence pointed to murder. It wasn't until DNA evidence emerged in late 2012--nearly three decades later--that the two suspects were formally charged. Kergan can't talk about the litigation but he remembers the shock of losing his brother and business partner. "It was a stressful situation that took me a couple of years to recover from," he says. "In 1986, I started building the company again, but when my son was born in 2000, I decided I didn't want to spend so much time on the road and I sold my stores in Florida and Mississippi." Today, Kergan as CEO of Kergan Bros. Sonic in Lafayette, La., has 54 units and more than 1,500 employees in his multi-million-dollar company in Louisiana. And says he feels blessed beyond what he ever could have expected. "I'm certainly grateful for the opportunities that got me where I am today. Sonic, under the leadership of Cliff Hudson, is a great organization with great folks." He's pleased, too, that his job has turned out to be so much fun. "At Sonic, we sell fun. We have girls on roller skates and cherry limeades. All we do has to fit into the 'fun box,'" he says. "Our success is a combination of our food and how we serve it." 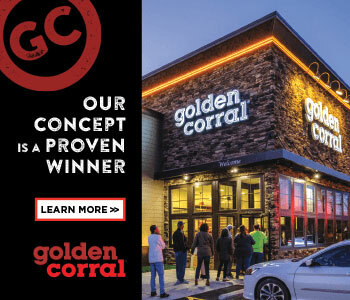 Kergan's personal business success is built on convictions like this: "I'm always upgrading the restaurants. If a unit starts looking tired, I tear it down and rebuild or refurbish it. I'm a big believer that the customers want to come into the nicest facility on the street. Not something funky--that's like putting lipstick on a pig--but something genuinely striking. That shows respect for our customers and our employees." His best advice for would-be franchisees is simple, and something that has worked for him. "Go find somebody who does something you don't know how to do and follow them around. Most people are willing to take the time if you ask them." Cutting grass and shoveling snow at age 8, followed by a paper route at 12. My first hourly job was in a hardware store at 16. I've only had two real jobs. Everything else I have done has been entrepreneurial. Three years working in a motivational company starting when I was 18. In 2002, I decided I didn't want to spend so much time on the road, so I sold my Florida and Mississippi units to be close to my family. I worried at the time, but it turned out to be the right move since restaurants down there have been pulverized in the downturn. I don't look back. A lot of things happen for a reason even though you can't see it at the time. Work week: Well, it's the restaurant business, so I work as needed. I try to be more efficient and work smarter, not harder. I'm getting pretty good at multi-tasking. I typically focus on the customer experience. Then I coach from there. I'm lucky that all my locations are in Central and South Louisiana, and I can get to them in a couple of hours at most. Still, we have 54 restaurants, so I use technology to monitor things, too. It can be as high-tech as our back office system and as low-tech as having a camera in the store to see what's going on. I get to the gym three times a week usually, and I have a 13-year-old son and lots of acres at home, so we spend time out there playing. Zealot: The Life and Times of Jesus of Nazareth by Reza Aslan. "A task expands to fill time." What this means to me is that you can make a dramatically positive impact on your operations today, right now. Long-term service improvement programs are really more like procrastination. Mostly I can't wait to see what is going to happen. In our organization, our managers are actually partners. About 80 percent of those managers started as hourly crew people. It's very cool to watch them work their way into being a successful business owner and making a six-figure income. In every case, it is way, way beyond anything they ever expected. I focus on the things that are really important to me and fill in the blanks around that. Last summer, the three of us flew into Canada, fished in northern Ontario for four days, then took a two-day train ride across Canada to Vancouver, and finished up with a week at the Four Seasons in Whistler. Awesome! When my son is older, I'd love to do some big game hunting in Africa. My father. He died of a massive heart attack one day after I was born. The way that I am successful is to train others to be successful and always to take the high road. Getting others to see what great service really looks like. There are so few examples of it in today's world that employees don't understand what they are trying to mirror. I guess you would have to ask them, but I hope they'd say I'm supportive and fair. Be a better person and listen more, because everyone has a great story. By making a big deal out of it when we see those behaviors turn out positively. To not over-develop the markets and to lead us in marketing and research. Communication at the earliest sign of trouble. The challenge is how to improve the guest's value perception without discounting everything to $1. I think we have accomplished that. The "how" is proprietary. It's huge, and it will be a bigger part of our business every year. I think of us as operating like the NFL. We're actively looking at people who work for the competition to see if they'd fit into our organization as opposed to waiting for an open position. I had a friend in Sonic who used to go in stores and buy something, take it home and break it, and then take it back to see how the situation would be handled. If a salesperson handled it correctly, he'd hire him. Training is an ongoing thing. Too many people think that you train an employee once and then you are done. We retain people by caring about them. We try to always take the high road. If we do, we're about to turn that person into the most important person in our world: a customer. On the other hand, you don't want to penalize your great people by kowtowing to a problem person. Turnover is not necessarily a bad thing, sometimes you just make a bad hiring decision. If you follow the dog, he will always lead you to the doghouse. Instead, follow the people you admire. We're going to see how far ahead of the pack we can get. We have such a different take on customer service that, at Sonic, we can do that. Our competitors have a square box on the side of a window, while we have girls on roller skates and cherry limeades. We sell fun. Customer count is the real indicator of how well we are performing. We've never had a goal on the number of units we open. If you do that, you're making a decision based on an arbitrary number instead of looking at how many back-up managers you have and whether plant closings are coming up in town. We're more focused on the quality of the units we have. How is the current economy affecting you, your employees, and your customers? We focus on the entire guest experience to deliver added value to compensate for outside influences. Actually, we didn't change. We continued to build new stores, to replace older units with new facilities, to add and upgrade equipment, and to add top-tier talent. We felt that it was a sound strategy to continue improvements so that when the economy turned positive, we were ready for it. We wanted to be proactive, not reactive. Our results have confirmed this was the right decision. We feel that we have total control of our destiny. We know that our customers will respond to excellence in facilities, products, and services. We have a history of consistently high sales and financial performance through all kinds of economic situations over the last 36 years, so getting capital has never been a problem for us. We tend to use community banks as that is where you can meet one-on-one with the decision-maker. Also, they're familiar with us and they know us. We also capitalize internally, as we feel our operations and real estate offer us terrific returns. Yes, we use local banks. National banks have too many layers. We never use private equity. If you don't run an operation daily, you can't be a partner in our company. A lot--and a lot of that is proprietary. Certainly these are ongoing challenges, but we prefer to look at these as investments in our guests' experiences, rather than expenses. We have expended significant resources, so we really understand the options. We do contests and bonuses. We change it up every year to make it fresh. One year, every time someone got mystery shopped we gave the store a big-screen TV. What happened was we gave away so many that in one store every person ended up getting a TV. They'd see us coming at Best Buy and say, "Oh, boy!" We also have a convention for our managers, maybe take them on a cruise, and we take managers and some employees to the Sonic national convention. Why would I want to leave? This is a great deal! Anyway, a few months ago we had a meeting of our 54 managing partners, one lead assistant manager from each location, our supervisors, and our office staff. My assistant added up the experience of these people and we have over 1,000 years of Sonic experience.